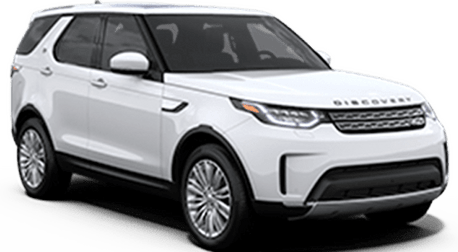 Those in the market for a premium-quality subcompact SUV should be aware of the 2019 Land Rover Range Rover Evoque in San Jose, CA. This SUV features a variety of luxurious features and conveniences that are sure to impress. For the 2019 model year, this SUV received updates to its touchscreen display. Drivers looking to purchase a 2019 Range Rover Evoque can choose between six trim levels: SE, SE Premium, Landmark, HSE, HSE Dynamic and Autobiography. The standard powertrain found in most models is a 2.0-liter, four-cylinder engine which generates 237 horsepower and 251 pound-feet of torque. A more-powerful four-cylinder engine with an output of 286 horsepower and 295 pound-feet of torque is also available for the HSE Dynamic and Autobiography trims. The 2019 Range Rover Evoque provides drivers and passengers alike with several interior features to enjoy. Dual-zone automatic climate control, push-button start, 12-way power-adjustable front seats, leather upholstery and a navigation system with an eight-inch touchscreen display all come standard in the 2019 Range Rover’s base trim (SE). In addition to its abundance of interior features, the 2019 Range Rover also comes equipped with numerous safety features to keep passengers secure in case of an emergency. Standard safety features found in all models of this SUV include a remote anti-theft alarm system, a post-collision safety system, an engine immobilizer, dusk sensing headlamps and tire pressure monitoring. Available 2019 Land Rover Range Rover Evoque comfort & convenience features include: Dual illuminating vanity mirrors, front and rear cupholders, climate control, keyless ignition, front seatback storage, cruise control, an electrochromatic inside rearview mirror, front and rear door pockets, parking sensors, interior air filtration, a rearview camera, a tilt and telescopic steering wheel and steering wheel-mounted entertainment controls. 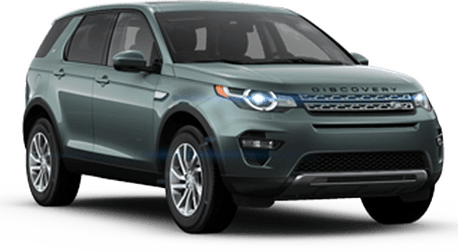 Interested in a 2019 Land Rover Range Rover Evoque?